Our team is here to provide all the construction bins for your project’s needs. If you’ve given even a passing look to a construction site, then you’ve seen the large amount of waste material the construction process generates. All of that leftover material needs to go somewhere, or else the junk scattered around the property makes it more difficult to get work done and makes it more likely for crewmembers to injure themselves. 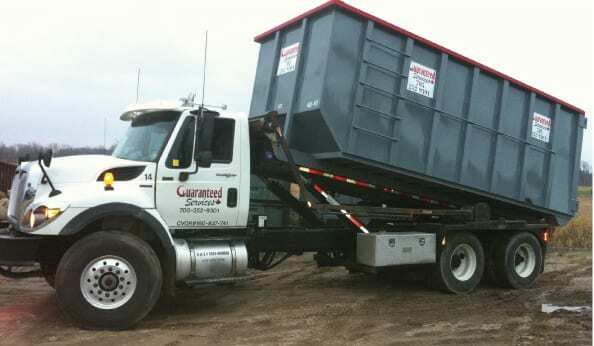 To help you keep your project on track, we at Guaranteed Services can provide construction bins to meet all your waste containment and removal needs. Our team offers drop-off and pick-up services for our construction bins at job sites throughout the Angus, Ontario area. When you rent one or more bins from us, our team will first schedule a time to deliver the empty bin and place it at a spot of your choice on the site. Once your construction efforts are complete, one of our team members will come pick up the full bin and take care of properly disposing of the waste inside. 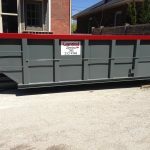 With our construction bin rental services, you won’t have to worry about anything but getting your project done on schedule and to your satisfaction. We at Guaranteed Services are here to make your life easier, and you can count on us to take care of all your waste disposal needs so you don’t have to. When you reserve construction bins from our Guaranteed Services team, we will ask you to provide some basic information, such as how many and what size bins you will need, and for how long. We will use that information to provide you with an accurate quote, and we are also happy to answer any questions you have about our rental process. If you need construction bins for your next project, call our team at Guaranteed Services today to get started.